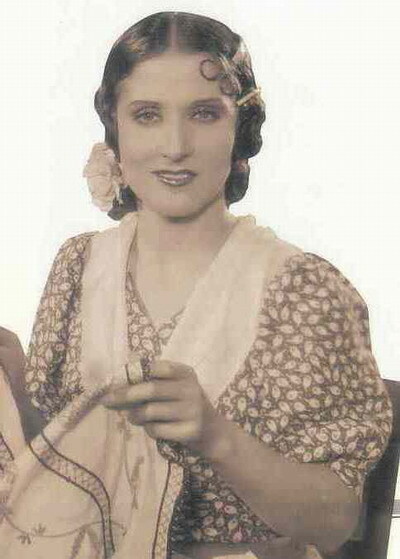 Estrella Castro Navarrete was a singer and actress known by her stage name of Estrellita Castro. She was born in Seville on 28th June 1908 in Calle Mateos Gago, the street that leads from the Giralda to the Barrio de Santa Cruz, one of the areas of the city with strongest traditional character. Estrellita was the youngest of eleven children. Her father was a fishmonger from Galicia. From the age of eleven she attended the Maestro Realito’s dance academy, doing the housework to help pay for her classes. At the age of twelve she danced for the first time in the presence of King Alfonso XIII and Queen Victoria Eugenia. 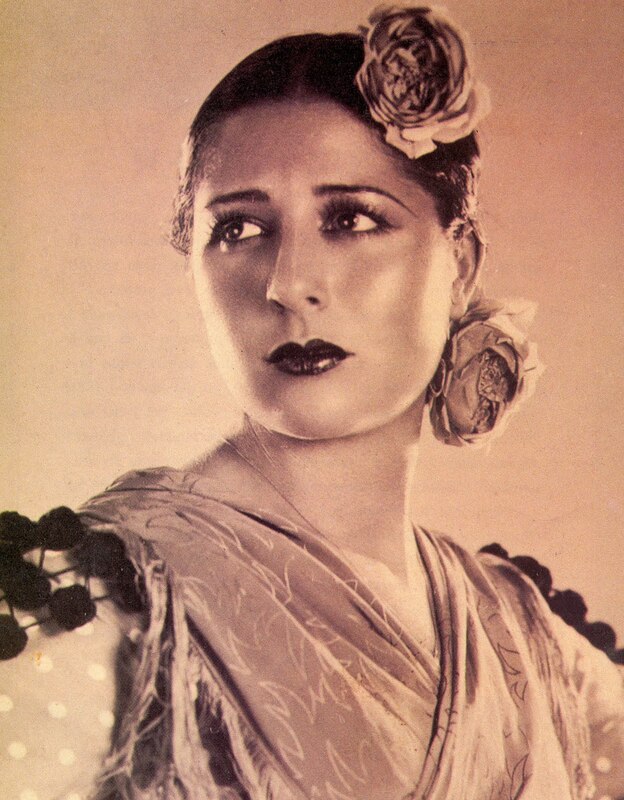 A key figure at the beginning of her career was the legendary bullfighter Ignacio Sánchez Mejías, who saw her dance at a Gala for underprivileged children and gave her a gold coin. She made her début at “Tronío” in the Calle Sierpes and went on to perform at all the major theatres in Spain, Europe, Latin America and even the United States. La Copla has evolved as a uniquely Spanish artistic expression, through song, of popular sentiment: sentiment narrated in lyrics that tell stories set to the music of guitars, palillos, pianos or trumpets. The genre derives from popular verse, from the rhapsodies and songs of medieval minstrels, or those singing in later times in the corrales, finally finding expression in the voices of the great divos and divas of the twentieth and twenty-first centuries. Copla was born of this fusion between the picaresque Tonadilla and Cuplé, with the added influence, through Flamenco, of an Andalusian and Gypsy spirit, that harks back to its Moorish roots and is a vibrant reflection of diversity of the cultural melting pot that Andalusia has always been: from the olive groves of Jaen to the Atlantic and Mediterranean coasts of Cadiz, Huelva and Málaga, the potters workshops on the banks of the Guadalquivir in Seville or the mines of Sierra Morena, the rich taste of Andalusia pervades the genre. 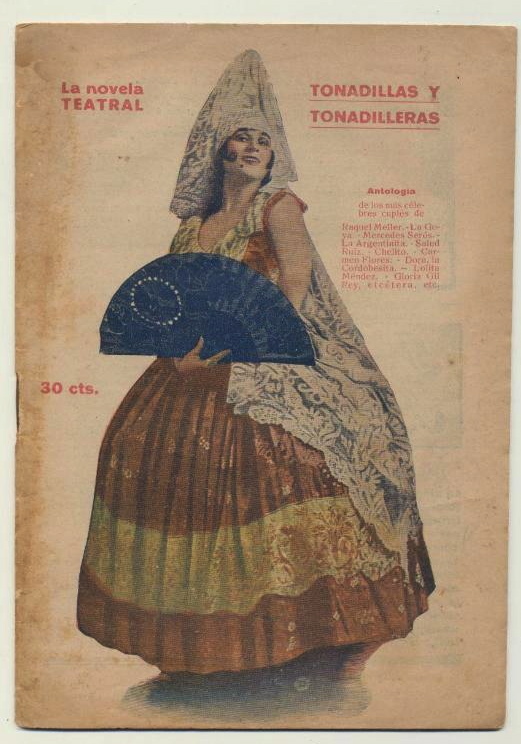 The Tonadilla is a traditional Spanish song style that has its roots in the jácaras, songs of arabic origin, that were sung between the acts in Golden Age Spanish theatre, alternating with dance numbers. The jácarandas were picaresque vignettes, stories recounting adventures, and the lyrics were often saucy and very much in the vernacular. Tonadillas were performed throughout the eighteenth and nineteenth centuries in the intervals of theatrical performances. This was a purely Spanish art form. The music was important but the songs were interspersed with recitations, with the emphasis on story telling rooted firmly in Spanish and especially Andalusian folklore. The Tonadilla was created by the flautist and oboist Luis de Misón, born in Mataró in the Province of Barcelona in 1727. The first was performed in 1757 and over 100 of his works are conserved in the Spanish National Library. Another early composer was Manuel García, who also performed his compositions. In all some 2,000 tonadillas have been catalogued; many with lyrics by respected writers such as Ramón de la Cruz and Tomás de Iriarte. The singers were known as tonadilleros and tonadilleras, a name later inherited by the cupletistas of the twentieth century.